How many people were on the Train to begin with ? 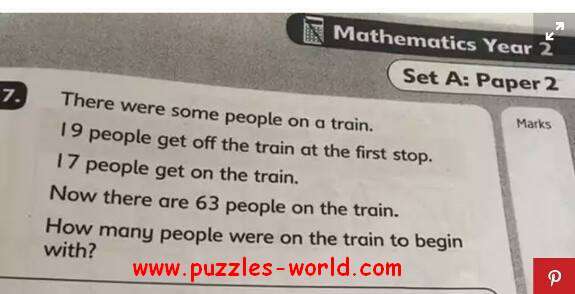 This “Year 2” maths question aimed at seven-year-olds is confusing adults! There were some people on a train.